Summertime is adventurous, free, and filled to the brim with great food-filled events. These fun-filled sunny days are memorable and hunger-inducing! Get inspired by the endless summer food possibilities that make each day tastier than the last. Remember, there are many fresh fruits (and vegetables) in-season during the summer months—think peaches, plums, and deliciously crunchy grapes,—incorporate them into your meals and snacks while they’re ripe and ready! During the summer, family-friendly recipe ideas are abundant and the options plentiful—we’ve compiled five recipe favorites to celebrate another season of great eats. In the sweltering heat, nothing cools us down quite like ice-cream. Don’t worry about buying ice-cream, making it is the way to go. Especially for this ice cream recipe. Roll up your sleeves, invite the little ones, and create this blueberry and honey filled treat together. Don’t forget the crunchy waffle cones, because these cones are the only thing that could make this treat better than it already is! Can’t shake the nagging feeling of being parched? 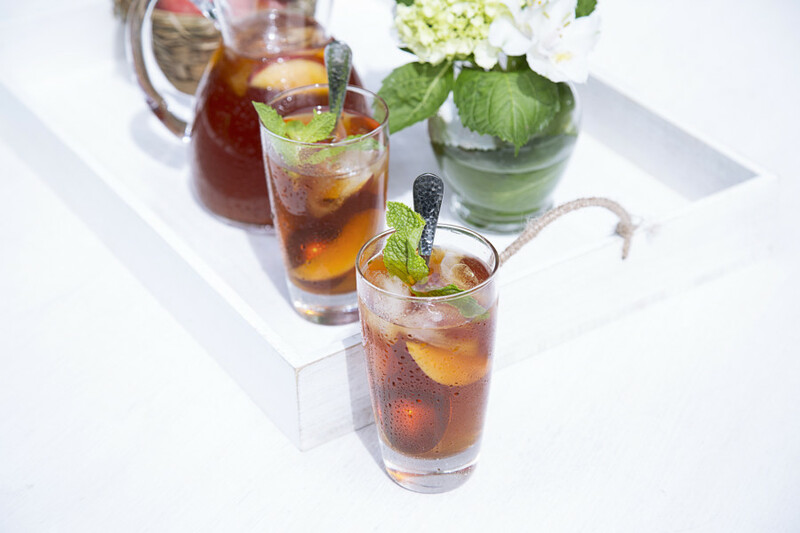 It’s important to hydrate with plenty of water, however, once you’ve done that there’s something to be said about home-brewed peach iced tea. With Homegrown’s famous organic peaches and your preferred blend of tea, you’ll have the ideal setup for a relaxing summer afternoon lounging on the porch with a glass in hand. 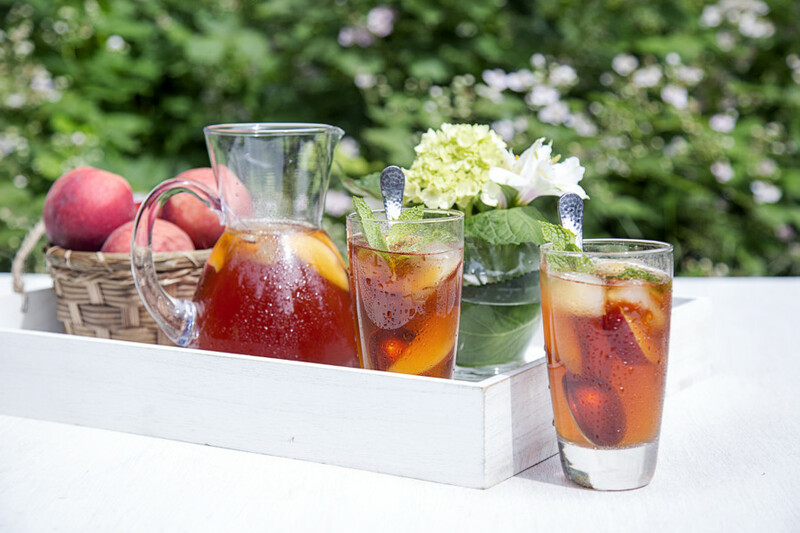 If you’ve never tasted real, homemade peach tea, prepare yourself for the taste of summer in a glass. Hearty doesn’t begin to describe this filling omelet. When you’re looking for an empowering, filling breakfast (or brunch) to start the day, this ingredient-packed omelet will satisfy even the hungriest tummies. This is the type of meal meant for the important days—like the first day of school or before a business meeting. The kind of meal a parent makes because the timing is perfect, and there’s a buzz of importance in the air. The red onion, sweet pepper, zucchini, tomato, and mozzarella together make a combination we would like to see more of. We think you’ll agree, just ask your taste buds. While this muffin is more than suitable for people of all ages, it comes with the added benefit of presenting zucchini and carrots in an acceptable way for picky eaters. Enjoy them fresh out of the oven for breakfast with the family, or pack them up and indulge anywhere for an on-the-go, nutritious snack. As far as muffins go, this applesauce based recipe is power-packed and ready to improve your day. Whether entertaining friends for dinner or hosting a birthday party, baked brie and plums will be the main event of any appetizer table. The combination of ingredients make a party plate that you’ll come back to time and time again not only for its ease, but also the uniquely blended flavors that wow guests. 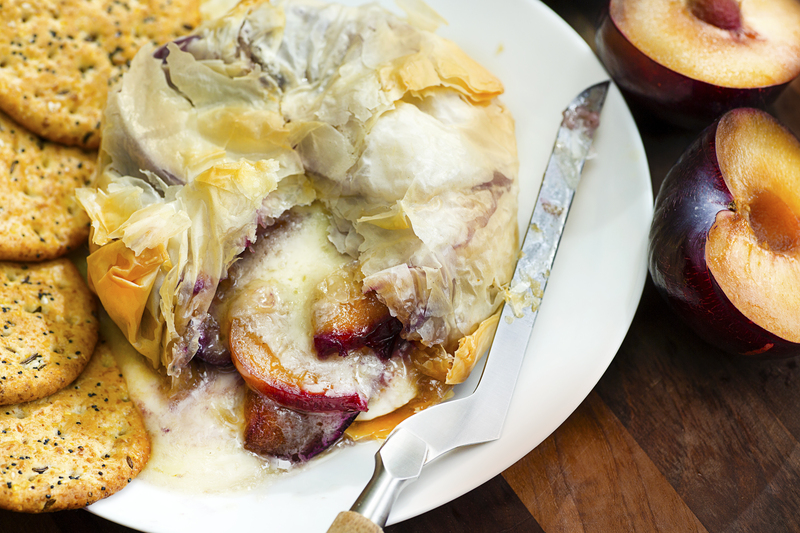 Put baked brie and plums in the category of “must try at least once,” you’ll be doing a flavorful favor for everyone that takes a bite! While summer runs its course it’s our plan to eat with the seasons, and for many, that means incorporating as many in-season fruits and vegetables as possible. How will you be tasting the summer this year? Leave a comment below about your favorite family-friendly summer meal, and be sure to stay in touch on Facebook, Twitter, and Instagram.